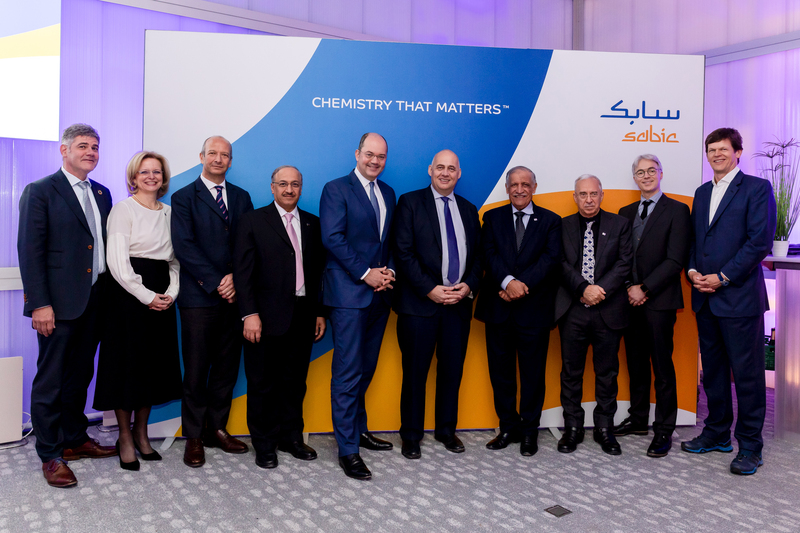 SABIC and customers Unilever, Vinventions and Walki Group will introduce ISCC certified circular polymers in 2019 during a market foundation stage. DAVOS, SWITZERLAND, January 24, 2019 - SABIC, a global leader in the chemical industry, has announced together with its customers Unilever, Vinventions and Walki Group, the launch of certified circular polymers to be manufactured by SABIC and planned to be used by its customers for packaging solutions for a variety of consumer products that will be introduced into the market in 2019. The certified circular polymers will be produced from a feedstock known as TACOIL – a patented product from UK-based PLASTIC ENERGY Ltd - from the recycling of low quality, mixed plastic waste otherwise destined for incineration or landfill. SABIC will process this feedstock on its production site at Geleen in The Netherlands. The finished certified circular polymers will then be supplied to the three key customers to use in their development of pioneering, high quality and safe consumer packaging for food, beverage, personal and home care products. The market foundation stage is an important step of a project recently announced by SABIC and Plastic Energy to build first commercial plants in the Netherlands to manufacture and process the feedstock. Unilever was ranked as an industry leader in the 2018 Dow Jones Sustainability Index. In the FTSE4Good Index, it achieved the highest environmental score of 5. It led the list of Global Corporate Sustainability Leaders in the 2017 GlobeScan/SustainAbility annual survey for the seventh year running, and achieved four A ratings across Climate Change, Water, Forests and Supplier Engagement in CDP's 2018 Global Supply Chain report. Unilever has pledged to become carbon positive in its operations by 2030, and to ensure 100% of its plastic packaging is fully reusable, recyclable or compostable by 2025. For more information about Unilever and its brands, please visit www.unilever.com. For more information on the USLP: www.unilever.com/sustainable-living. SABIC Chairman, Dr. Abdulaziz Al-Jarbou, and Vice Chairman & CEO Yousef Al-Benyan, with representatives from customers Unilever and Vinventions, and supplier PLASTIC ENERGY at last night’s event to announce the launch of SABIC’s certified circular polymers.